When the worst happens, how much protection will the car you’re in give you and your family? It’s a question every parent will have asked at one time or another and you don’t have to take the car makers’ word on how safe their cars are. Since the mid-1990s the European New Car Assessment Programme (Euro NCAP) provides impartial and scientific data that allows drivers to assess how safe virtually every car on the road is. The result has seen manufacturers fighting to win coveted class-topping five star ratings and unsafe vehicles – think of the one-star Rover 100 (better known as the Metro) – driven from our roads. Cars must conform to certain basic safety standards before they can be sold but Euro NCAP encourages car makers to exceed those levels. The Euro NCAP panel chooses a selection of the best-selling cars from all over Europe every year. It identifies the most popular variants, then buys four examples anonymously before literally smashing them to pieces. Check here to see how your car performs in a crash. There are four areas for testing: adult protection, child protection, pedestrian protection and safety equipment. An overall score is calculated by combining the results in all areas. Since 2009, the results of a neck whiplash test from a rear impact have been added to the occupant protection scores and there are points for seatbelt reminder alerts, speed limiters and the standard fitting of Electronic Stability Control. 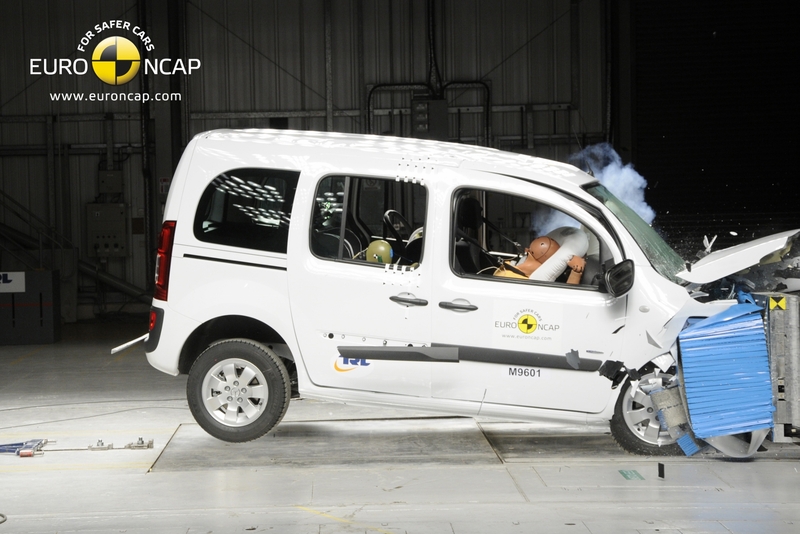 In order to achieve ratings for adult and child protection, Euro NCAP crash tests the cars it chooses under laboratory conditions so that each vehicle can be fairly compared by customers. It aims to replicate the most common crashes so tests are from the front and side into solid objects and into a pole to simulate a crash with a tree or sign post. As part of the child protection assessment, the testers carry out child seat installation checks on every car as badly fitted seats can drastically reduce their effectiveness. Around 14 per cent of Europe’s road crash fatalities are pedestrians and better designed cars could reduce this significantly. To estimate the potential injury risk, Euro NCAP simulates accidents with pedestrians. This enables it to gauge how well cars’ energy absorbing structures, deforming areas and protection systems such as external airbags and pop-up bonnets work when they come into contact with vulnerable road users such as pedestrians and cyclists. In all these tests Euro NCAP uses high-tech human replica dummies, crammed with sensors that record impacts and can therefore gauge potential injuries on humans. It doesn’t just use the result of crash tests to compile its ratings. Euro NCAP also assesses high-tech safety systems that are available to some cars. These are the technologies designed to prevent accidents by advising or alerting drivers about dangerous situations or helping them avoid crashes in the first place. Others prepare the vehicle’s safety systems milliseconds before a crash to provide the best possible protection.